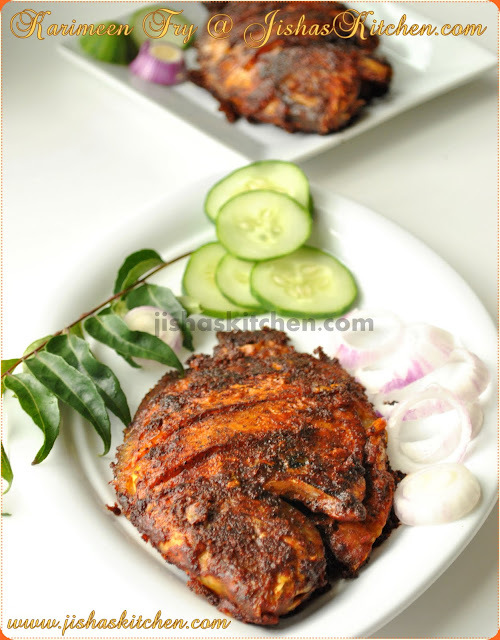 Today I am sharing the recipe of Karimeen fry / Kerala style pearl spot fry / Karimeen varuthathu. Pearl spot is a fresh water fish found manly in the backwaters of Kerala, especially around my home town, Alappuzha. Its very famous among Keralites and even though this fish is quite expensive we mostly buy Karimeen at least twice a month and my mom always prepares Karimeen fry whenever we have guests at home. This is my all time favorite fish and my parents know that very well, may be that's why after my marriage, whenever I visit my parents, my father always make sure to buy Karimeen for me. :)....The popular dishes made using Karmeen are "Karimeen fry", "Karimeen Pollichathu" and " Karimeen Mappas" and the toddy shops and house boats are famous for serving these dishes. Then marinate the fish with this paste but do make sure to apply this paste on both sides of the fish, inside the stomach of the fish and even inside the gashes and then refrigerate it for about 1 to 3 hours . 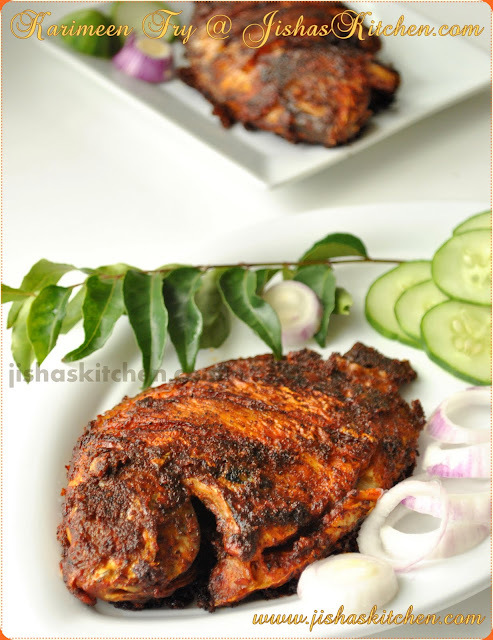 Then heat enough oil in a pan and then layer curry leaves in the oil and then place the marinated Karimeen on top of it and shallow fry in a medium-low flame for about 15 minutes and then turn it around and fry the other side for about another 10 to15 minutes. When both sides of the fish becomes golden brown in color transfer it to a paper towel. tempting and wonderful fry !!! love to have with sambar rice !! Jisha,that brings back our memories from kerala..looks very appealing! Wow looks gorgeous dear. Feeling like to have it now itself. that looks truly yum and beautifully done too! 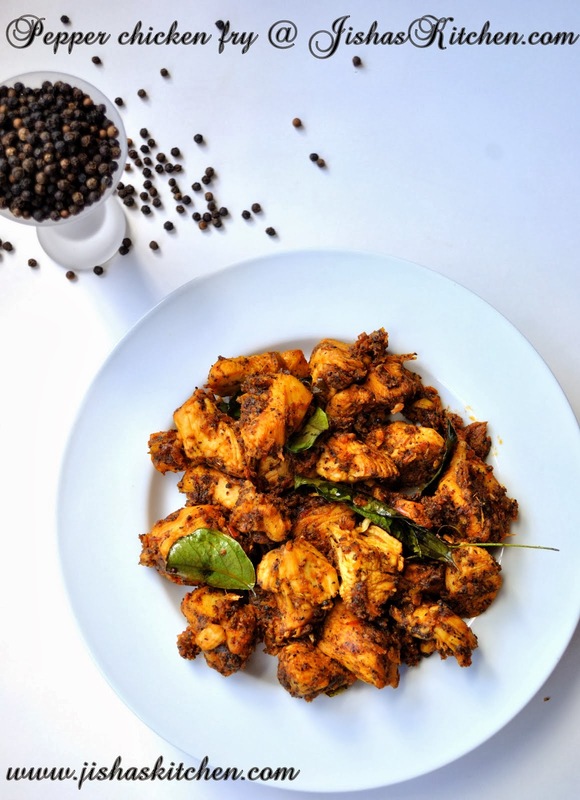 Karimeen fry adipoli. evide engine kitti ithiniae. Fish fry looks extremely delicious and mouthwatering. Excellent color dear. Wow.... that looks so delicious. The presentation is world-class... U rock,girl:) superb. Wo! Such an droolworthy and inviting fish fries.. The pics are really tempting dear... slurrrrppp..
Wow tempting fry dear,kothiyayittu vayya..
ayoooo.... drooling here.. theres nothing like karimeen fry for lunch..
Looks spicy & perfect with rice..
LOVING IT!! Do u get karimeen in US of A? Oooh, it looks so tempting! 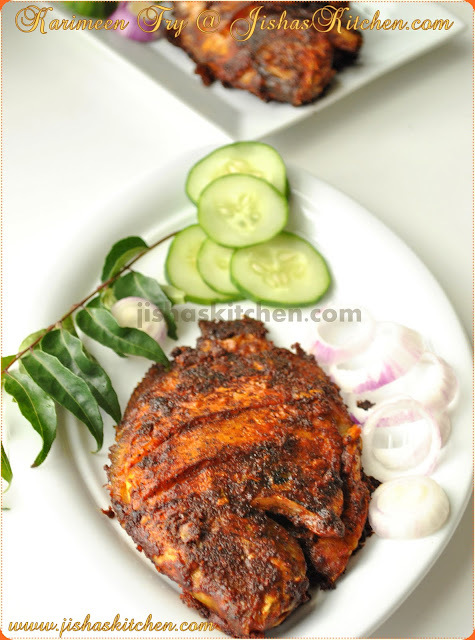 Would appreciate if you can share the recipe of 'Kumbalangy Karimeen Pollichathu' where the fish is cooked without removing its scales. Heard it tastes awesome.